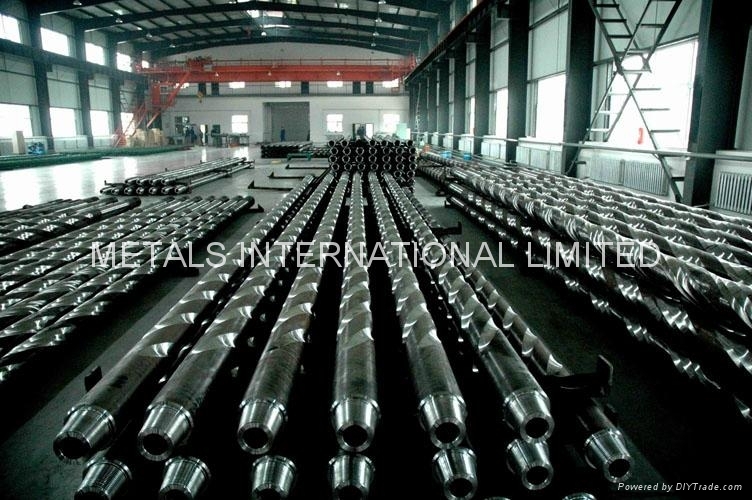 According to API Spec.7 and SY/T5144, drill collar is made of AISI 4145 modified chromium- molybdenum alloy steel. 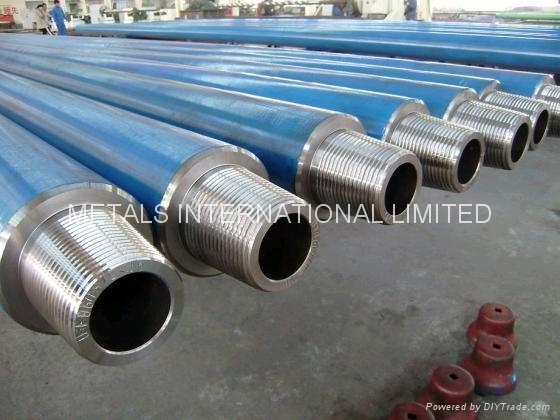 All threads are phosphated, copperized or cold rolled , and they are machined with CNC Lathes –Double –shoulderd, including some special threads. 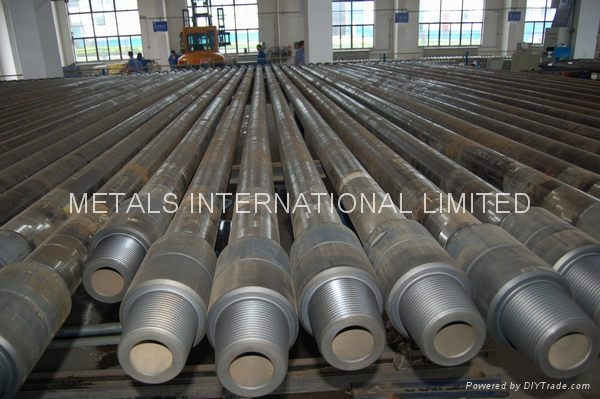 The maximum outer diameter of drill collars can amount to 14 inch. 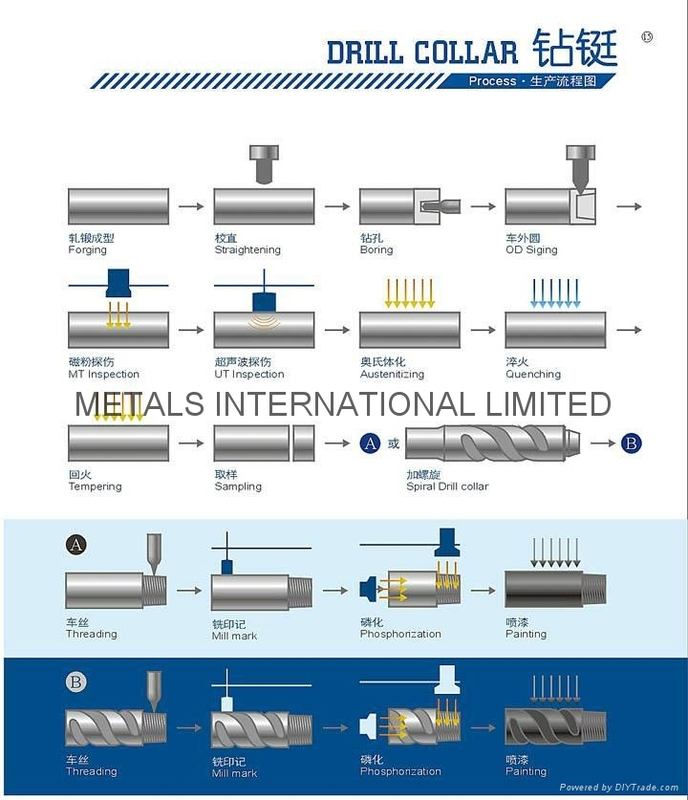 Specifications︰ The drill collar, mainly used for providing drill pressure, is manufactured in accordance with API Spec 7 and API RP 7G. 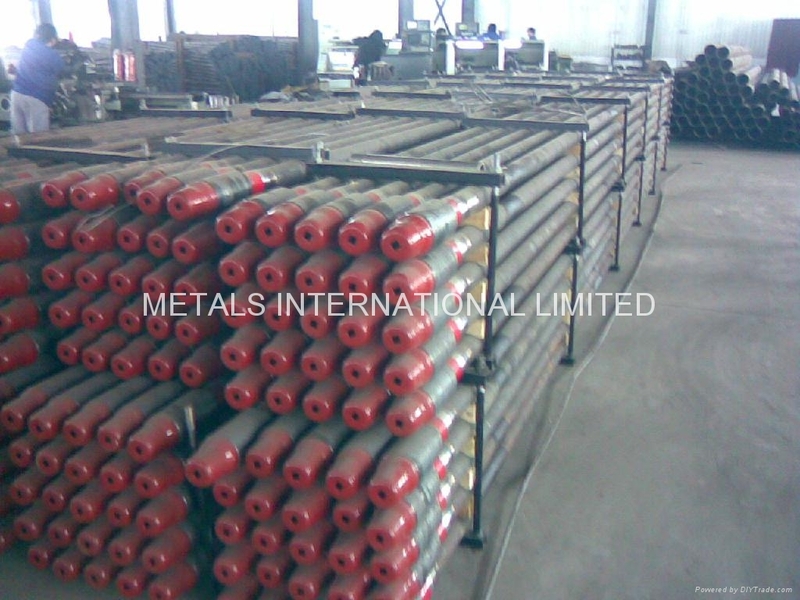 The material of standard drill collar is AISI 41545H. 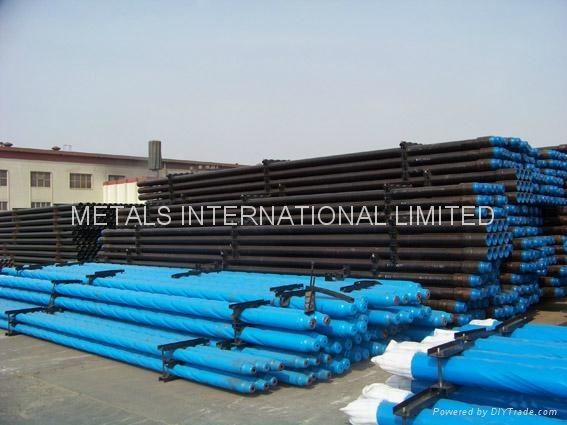 Trace elements such as sulfur and phosphorus are reduced during the steel making process, thus making the material get high physical properties. 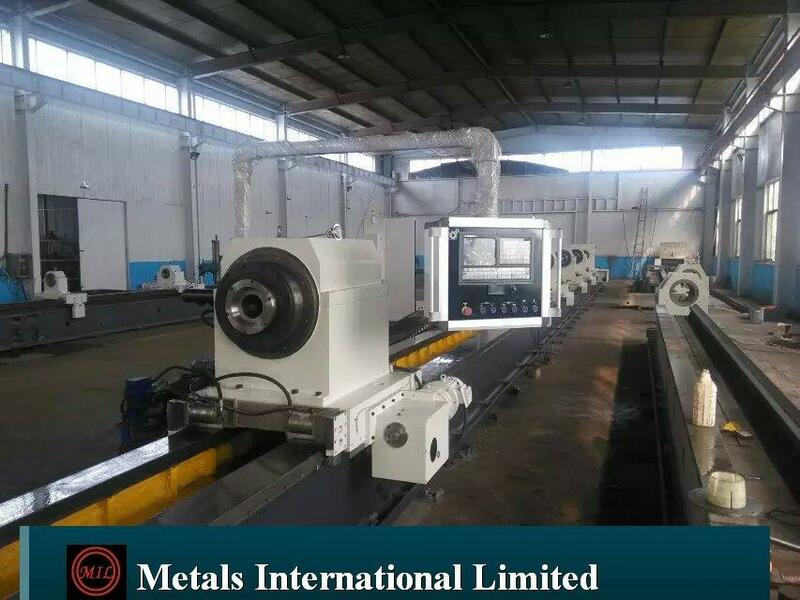 Nonmagnetic drill collar is made from chrome manganese, low carbon austenitic alloy obtained by combining a proprietary chemical analysis and a rotary hammer forging process. 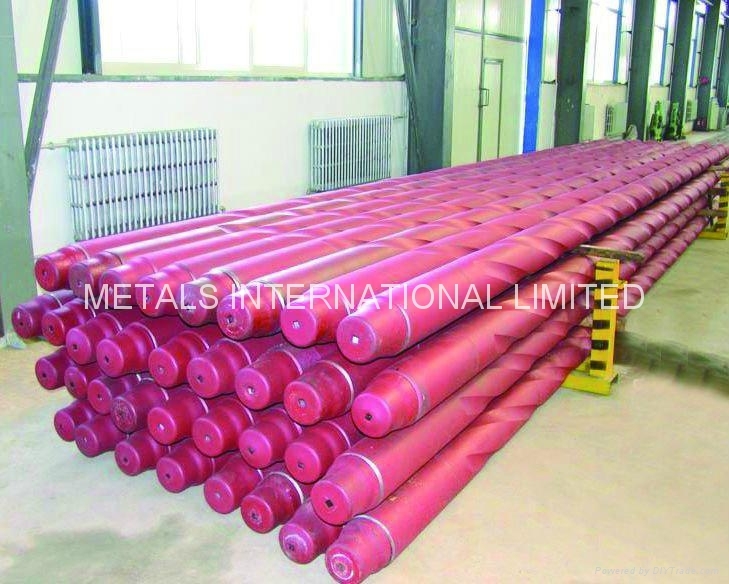 The material is resistant to stress corrosion cracking, with high mechanical properties, low magnetic permeability, excellent mechanical machining properties and no tendency to galling. ③ The premium thread connection such as PAC is available. 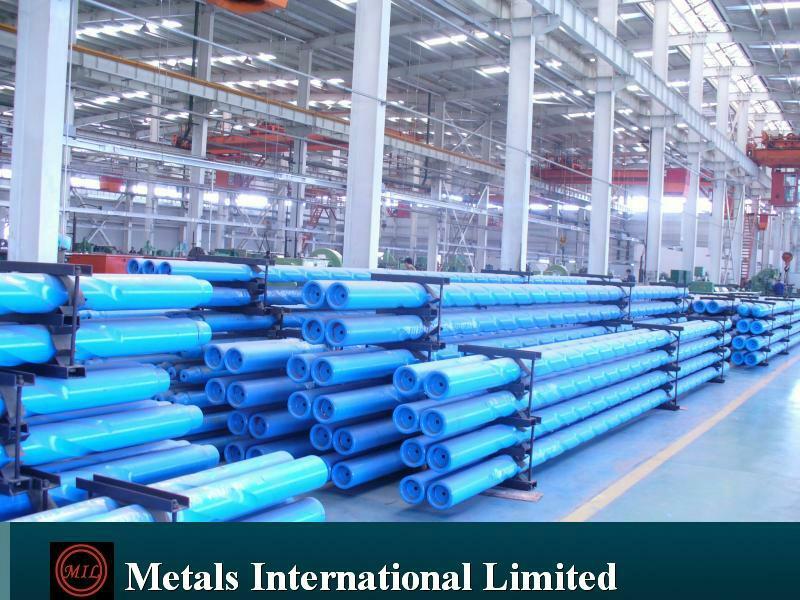 ● Other nonmagnetic products are also available including short drill collar, integral HWDP, sub and stabilizer.